Johnny has excelled in every venue. 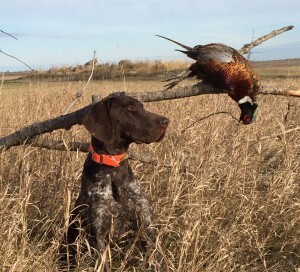 From the show ring to hunt testing to the wild bird fields, he has been outstanding in every way. In the kennel or the house, he is easy-going and a joy to have around. We cannot think of a more perfect example of what a shorthair should be. 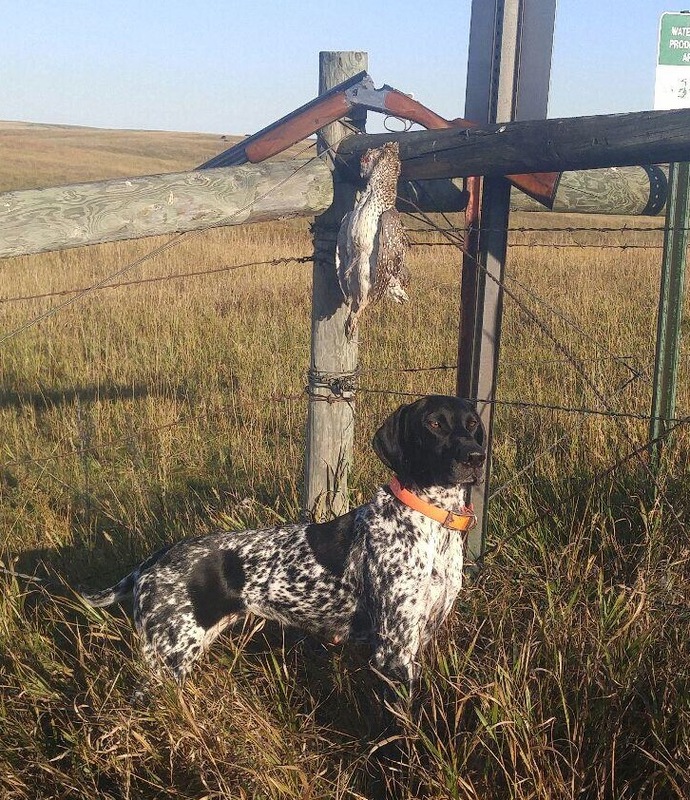 Arley from our 2014 litter pointing a chukar at 10 weeks. Vegas, from our 2014 litter at 4 months w/ limit of ND pheasants. From our 2007 Litter: This photo was taken in August of 2009. All three of these dogs from the first litter earned their Utility Prize I on the same day. Rebel is our up and comer. He was tested in NA and received a Prize 2, 108 points. Rebel will be run in Utility in the summer of 2016. He is out of our Shandy X Cody (Gunslinger’s Buffalo Bill Cody) breeding. 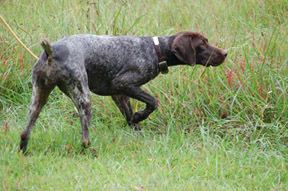 Rebel has great conformation, a very strong water desire, runs smooth, and is super cooperative. Butchie is from our 2014 litter Shandy X Johnny. We are so excited about this girl! She is super cooperative, and just wants to learn. 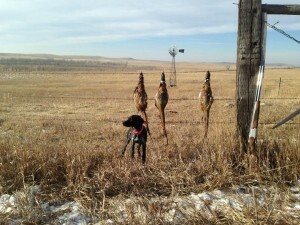 In her first day of hunting sharptails, she had those wily birds figured out. Butch earned a maximum score of 112 and a Prize I in her Natural Ability Test, and is testing in Utility this fall. 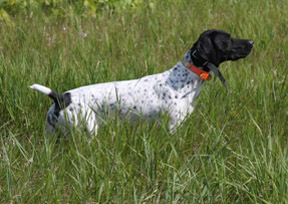 Spring Valley’s Lexi is from Sassy and Rev’s second litter. 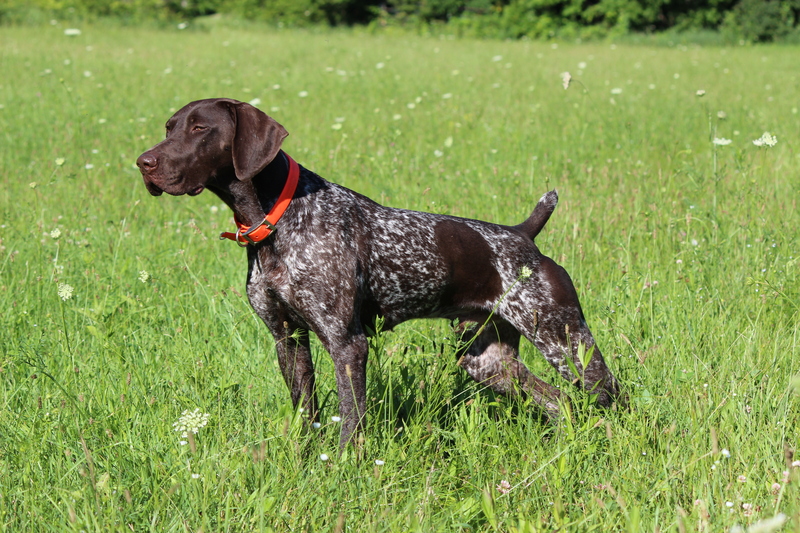 She exhibits the same style and grace in the field as her mother, and is truly a sight to behold when on point.Lexi is owned by Jeremy and Angel Kerns of Cincinnati, OH. 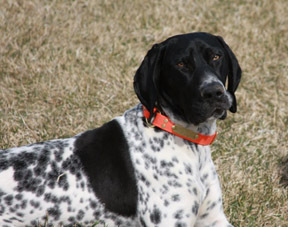 Spring Valley’s Raisin’ Cain, call name “Havoc” is owned by Jon Peeters of Tripoli, WI. Havoc earned a 112 Pz I in her Natural Ability Test. 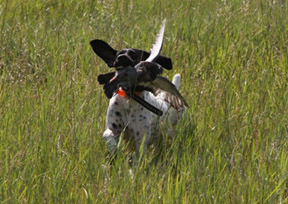 Fonzie, owned by Jon & Amy Engle of Madison, WI. 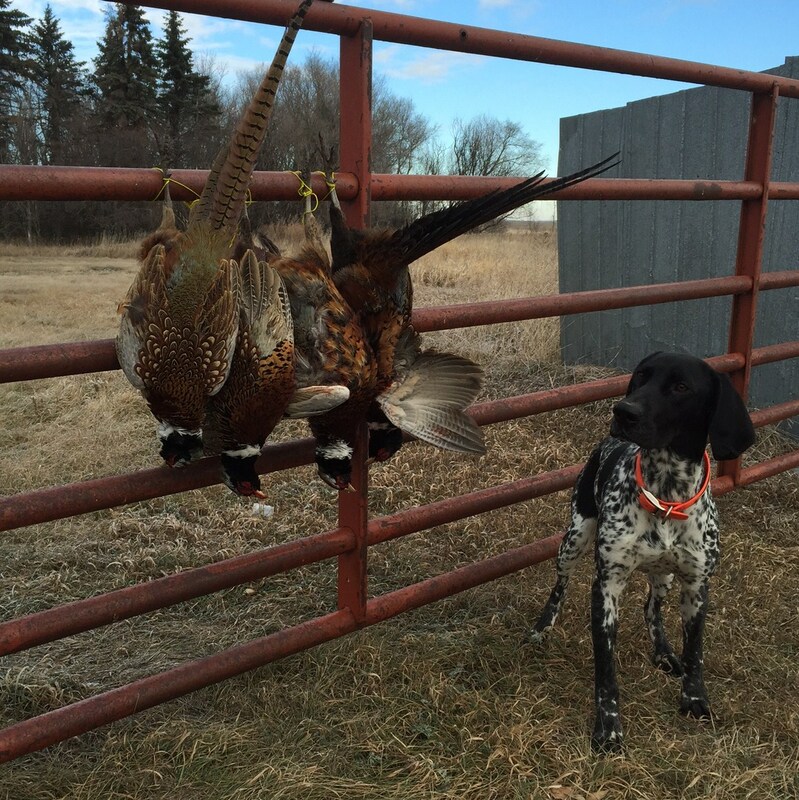 Fonzie hunts pheasants, sharpies and huns in Wisconsin,Iowa and the western states. 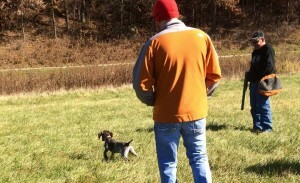 Fonzie has a new addition to the family — Amy & Jon also own a pup from Sassy’s last litter.